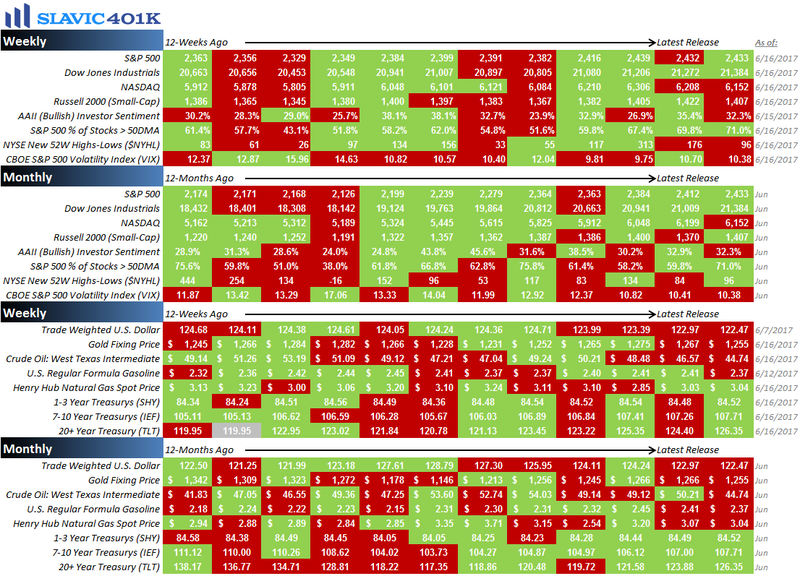 Outside of the tech sector, stocks generally edged higher last week, with the S&P 500 rising by 0.06 percent to 2,433.15. 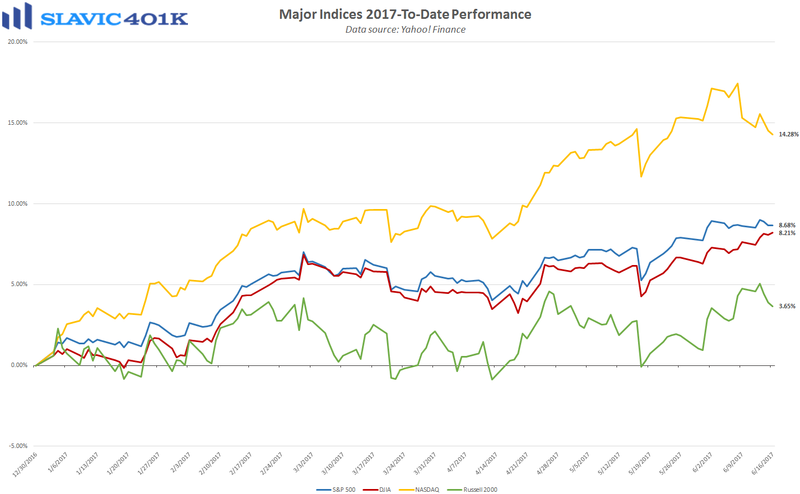 That fractional gain still left the benchmark index up a solid 8.68 percent 2017-to-date, and just 0.30 percent below the all-time closing high. There were lots of economic reports and geopolitical developments for the markets to digest last week but the headline that traders paid the most attention to was the latest decision on monetary policy from the Federal Open Market Committee (FOMC). Indeed, officials on Wednesday announced that the target range for the federal funds rate would be raised by 25 basis points to 1.00-1.25 percent. That was the second hike this year but only the fourth interest rate increase since 2006. Although it was widely expected that officials would hike last week, the statement released by the committee was a bit more hawkish than anticipated. For example, officials included an addendum providing details regarding their plans to normalize the Fed’s $4.5 trillion balance sheet starting some time “this year.” Further, the committee’s updated dot plot projections still imply three quarter-point increases to the federal funds rate in 2017 despite the recent softening seen in inflation and other economic data. 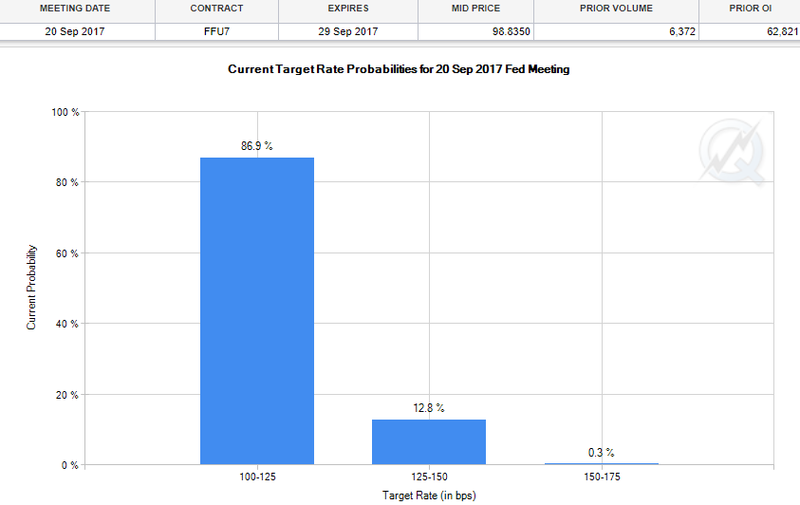 Currently, the market-implied odds of another rate increase at the September FOMC meeting sit at just 12.8 percent. Nearly six in ten retail investors (58 percent) surveyed by Wells Fargo and Gallup reported that they have benefited from lower rates either by taking out a car loan (30 percent), refinancing an existing mortgage or home finance loan (17 percent), taking out a mortgage for a new home (16 percent), obtaining a student loan for themselves or a family member (9 percent), or taking out another type of loan (10 percent). However, 44 percent of surveyed investors said that they would likely make “major adjustments” to their investment strategy if interest rates continue to rise. To recap a few of the things we learned about the economy last week, the positives included that mortgage and refinance applications rose, inflation pressures in the U.S. moderated, manufacturing activity in the Northeast region of the country accelerated, small business owner optimism held near cycle highs, and the number of Americans making first-time claims for unemployment benefits declined. 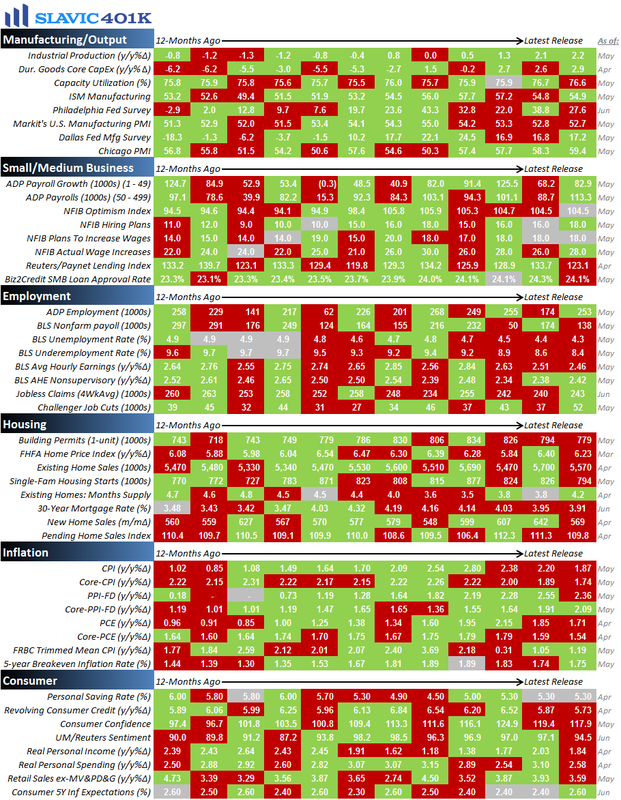 As for the negatives, retail sales growth slowed, housing starts slid, building authorizations contracted, homebuilder sentiment deteriorated, manufacturing activity in the Mid-Atlantic region of the country cooled, U.S. industrial activity slowed, capacity utilization fell, and consumer sentiment softened. This week the pace of economic data slows down considerably but there are still a few important reports on housing, manufacturing, and employment scheduled to be released, along with lots of potentially market-moving speeches by Federal Reserve officials.